Dr. Ann Hentzen Page, M.D., F.A.C.O.G. Home » Providers and Staff » PS » Dr. Ann Hentzen Page, M.D., F.A.C.O.G. There are many reasons Garden Plain is considered the “Jewel of Western Sedgwick County.” And, the fact that Dr. Ann Hentzen Page, M.D. calls it home is certainly one of those reasons. From a town just shy of 1,000 residents, Dr. Hentzen Page made many stops all over the country before returning to The Sunflower State. In addition, she collected accolades all along the way from prestigious collegiate and medical programs at the University of Notre Dame and the University of Texas Southwestern Medical School. After leaving the land of the Shockers, Jayhawks and Wildcats, Dr. Hentzen Page began her collegiate career as a member of the Notre Dame Fighting Irish. During her undergraduate years she completed a degree in biology. She was named to the National Dean’s List and became a Notre Dame Scholar. 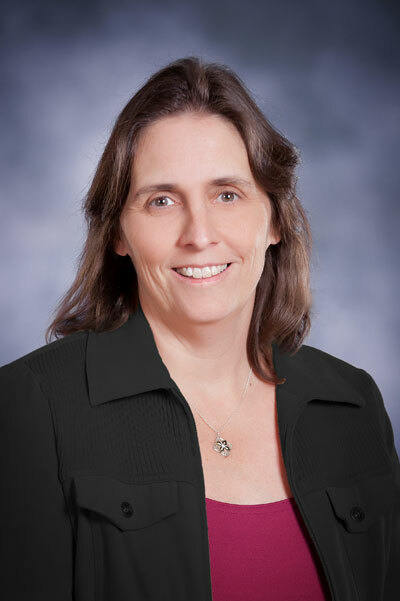 Upon finishing her degree at Notre Dame, Dr. Hentzen Page furthered her education at the University of Texas Southwestern Medical School in Dallas. She completed her doctorate in medicine and served as a Southwestern Medical Foundation Scholar. Dr. Hentzen Page completed her residency at the Wichita Center for Graduate Medical Education. In 1999, Dr. Hentzen Page helped establish The Woman’s Place, an all-female award winning gynecological practice. She is proud to call Hutchinson home and has been caring for patients at The Woman’s Place for nearly 20 years. Dr. Hentzen Page provides compassionate and comprehensive care to her patients. Away from the office, she is an avid runner and enjoys participating in races, triathlons, and other league sports throughout the year. She and her husband have seven children. Dr. Hentzen Page is Board Certified by American Board of Obstetrics and Gynecology and is a Fellow for the American College of Obstetrics and Gynecology.